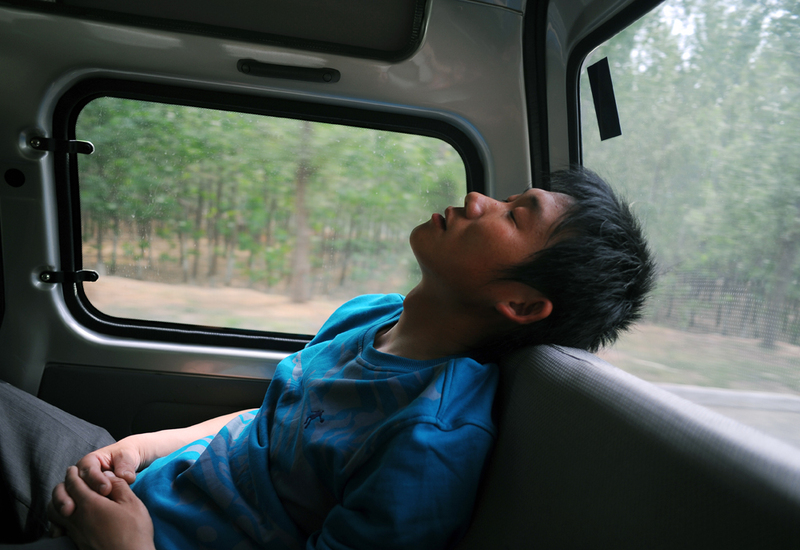 Li Chuan-hua falls asleep deeply in the backseat of his friend’s car. He is exhausted from one-day family excursion with his friend’s family. Shandong Province, China.